Lunchtime crisis averted! 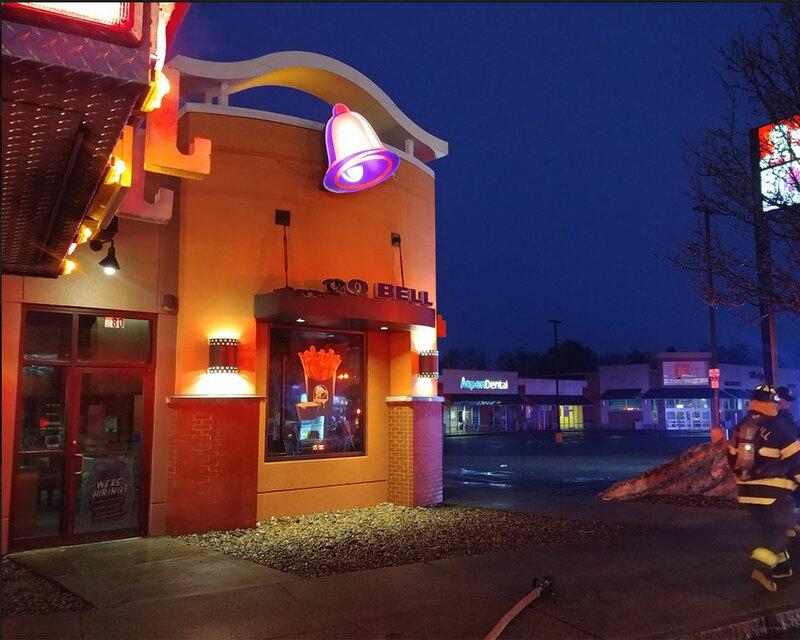 A group of the city’s firefighters headed to upper Main Street early Friday morning for a call that the neon sign at the Kentucky Fried Chicken and Taco Bell restaurant had caught fire. Luckily for Haverhill’s hungry, the blaze was quickly extinguished and shortly before 7 a.m., the department confirmed the restaurants would be back up and running in time for the lunch rush. “Not to worry, your fried chicken and __os are now safe,” a witty social media post after the call read, referring to the sign’s letters ‘T,’ ‘A,’ and ‘C’ that had gone dark as a result.